Thanks to its role as a cultural hub and one of Europe's rising business centres, apartments in Berlin and especially short-term furnished apartments are more in demand than ever. A never-ending flow of new startups, galleries, restaurants and concerts means that the German capital is constantly welcoming new arrivals. That's especially the case for young Europeans in their 20s and early 30s who love the city's laid-back but productive atmosphere. Here is Wunderflats' guide to some of Berlin’s neighbourhoods. The name “Mitte” means middle in German, and that's exactly where you'll find this popular district. Located at the heart of Berlin, Mitte is home to world famous sights like the Brandenburg Gate, Museum Island and the Bauhaus Museum, and its 90,000 inhabitants would probably agree that it's also a fine place to live. Mitte is many things: Berlin's "Silicon Valley", historical showpiece and vibrant nightlife area. A host of major global companies have based themselves in the area, so Mitte will suit professionals who need access to offices and conference facilities, but with excellent shopping and dining options and the nightclubs around Alexanderplatz. It has extremely wide appeal. Being at the heart of the city, Mitte is generally not an inexpensive place to hunt for a furnished apartment for rent, although affordable deals can be found away from tourist areas. Expect to pay significantly more than in other areas, with one bedroom apartments available for € 1.100 - € 1.700 per month. Located west of the city centre and south of the River Spree, Charlottenburg is a popular choice for families and young people who want good connections with the centre, but more affordably-priced apartments in Berlin. Shopping, historical attractions, dining and parks all mean that it's an excellent base from which to explore the city. Charlottenburg is a good place for people who love parks and outdoor recreation. The area's eastern half is dominated by the forested of the Tiergarten, while the district is also home to the Berlin Zoo, plenty of lively bars and restaurants and the shopping heaven Kurfürstendamm. Expect to find slightly cheaper short term rents than in central Berlin, with furnished one room apartments available for € 950 - € 1.450 per month. Popular amongst students because of its affordable short term rentals, Kreuzberg can be found just south of the city centre. It's a vibrant part of Berlin, where the large Turkish population adds some flavour to the local dining options and a bohemian, relaxed vibe is the norm. Kreuzberg is Berlin's current creative hub, with standout features including quirky cafes, pop-up galleries, street art on every corner and the lively Turkish market. Add in a dynamic live music and nightlife scene and it's easy to see why Kreuzberg attracts a young, culturally active crowd. 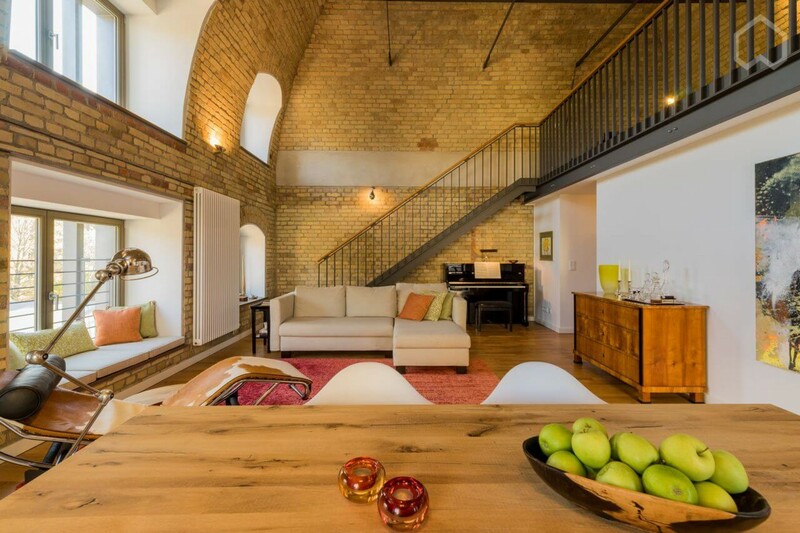 Relatively affordable furnished apartments are another draw for younger visitors. Expect to pay around € 900 - € 1.400 for a furnished one room apartment. When Berlin's recent revival kicked off, Prenzlauer Berg was transformed into a diverse, youthful neighbourhood, with plenty of cafes and art galleries. Located north-east of Mitte, it's now known as more of an eco-friendly family area, with excellent transport links and local amenities. Prenzlauer Berg's properties tend to have a high proportion of Wilhelmine (late 19th century) designs, including some of the most beautiful apartments for rent in Berlin. Great cafes and bookshops make it appealing as well. As Prenzlauer Berg has attracted more families and professionals, the price level has risen. Expect prices just below Mitte, at around € 1.050 - € 1.550 for a furnished one room apartment. 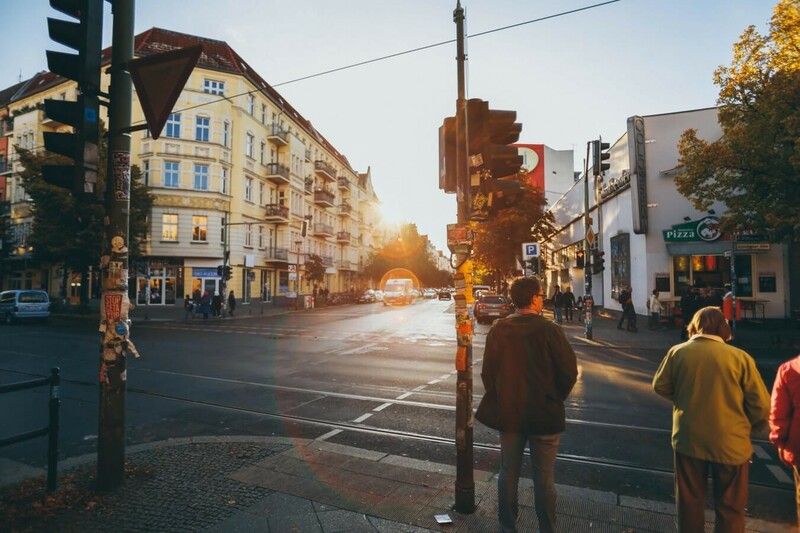 Located south-east of the city centre and relatively close to Schönefeld Airport, Neukölln is an up-and-coming neighbourhood where new organic cafes open up every week and creative spirit is on the rise. For a long time, Neukölln was neglected by people seeking accommodation in Berlin, but that's no longer the case. Its collection of restaurants from around the world, the large new park at Tempelhof and the shopping scene with a constant opening of new markets and boutiques make it popular amongst young professionals. Prices in Neukölln haven't quite caught up with the neighbourhood's cultural rise, so it's still an affordable area. Expect furnished one room apartments to cost around € 850 - € 1.350 per month. Berlin has everything you could hope for from a national capital, from world-class museums and an efficient public transport network to shops, markets and a dynamic arts scene. Here are some pointers to get you started in the German capital. Below are our tips to navigating your first weeks in the city. 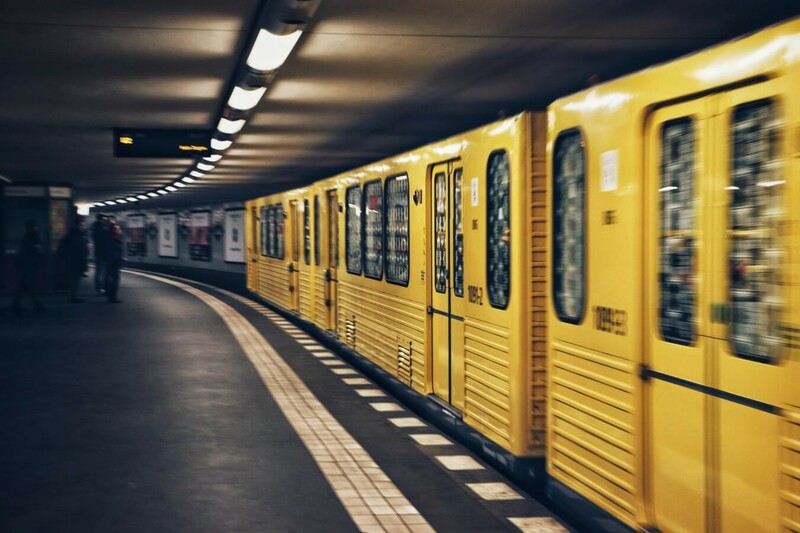 Locals prefer to get around via Berlin's comprehensive rail network. Overground services are operated by Deutsche Bahn (DB) but the U-Bahn can be even more convenient as it reaches most central districts. Day tickets for all public transport cost €7.70 (including buses and trams), and 7 day tickets cost €30. Singles vary from €1.60-3.30 – quite reasonable for a major city. Taxis are available across Berlin and are a more comfortable but pricier way to get around. Their base rate is €3.90 with an additional €2 per kilometre. You can hail cabs on the street if needed, but be aware that when you do, short journeys will cost a minimum of €5. The Brandenburg Gate served as the entry to Berlin under Prussian rule and later survived the Second World War, becoming a symbol of rebirth. Even more meaning was added when the Berlin Wall came down and the gate became a sign of German unity. The needle-like Fernsehturm (TV tower) soars above Mitte. The summit offers unmissable 360 degree views of the city, along with a sky restaurant. Nothing else in Berlin beats the view. A famous crossing point of the Berlin Wall between 1961 and 1989, Checkpoint Charlie is now the site of a memorable museum, which tells the story of the divided city. Reopened and rebuilt with the help of British architect Sir Norman Foster, the Reichstag is a magnificent testimony to modern Germany. A visit to the rooftop terrace and the guided tour of the dome are highly recommended. No visit to Berlin is complete without spending some time in contemplation at Peter Eisenman's Jewish Memorial. Located near the Brandenburg Gate, the memorial's 2,711 concrete monoliths are a fitting reminder of man's darker side. Home to Babylon's famous Ishtar Gate, a gorgeous bust of the Egyptian queen Nefertiti, an endless array of modern masterpieces and much more, Museum Island is a prominent collection of museums in central Berlin. Berlin's premier department store, KaDeWe sprawls over 60,000 square metres in Schöneberg. The luxury perfume and shoe departments are celebrated, but the 6th and 7th floor food halls are the real highlight. The East Side Gallery is an open-air art exhibit formed from 1.3 kilometres of the Berlin Wall. It was opened in 1990 after artists took over a stretch of the wall, creating an improvised masterpiece. Settling into your new apartment in Berlin can be work enough. Berlin’s startup sector provides a wide range of services for newcomers to use in order to make life easier. Bike sharing schemes are a nice way to integrate exercise throughout your day without having to purchase your own bike. With nextbike and with Lidl-Bike you can register yourself and rent a bike by app. When you are finished, you can park the bike anywhere within the S-Bahn ring. Stay fit during your time in temporary apartments in Berlin by signing up with FitX or Mcfit– a network of city centre gyms offering very reasonable rates. If you are looking for a more exclusive gym, Holmes Place offers a spa in addition to its sports facilities. Or, if you would like to choose a gym close to your apartment in Berlin, try out the website Urban Sports Club. Deliveroo and foodora are the places to head for local gourmet takeaways, and with all of the world's cuisines available in Berlin, they are essential apps to have at your fingertips. If you're busy at work or want more time free time outside the office, Book a Tiger can provide professional cleaning service for your apartment in Berlin whenever it's required.